On a walking holiday in Madeira with Headwater explore a sub-tropical paradise with an explosion of exotic colours, thanks to the endless flora and fauna. Some of the most spectacular scenery can be found in the Parque das Queimadas, where ocean views below vie for attention with the towering peaks above. 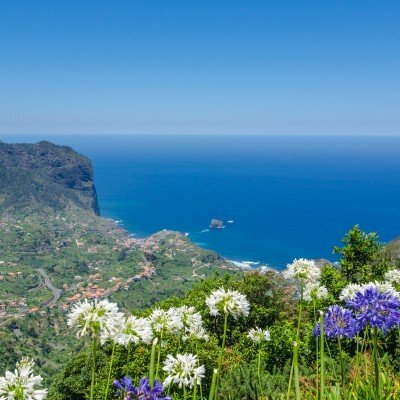 Meandering along many of the levada, several natural features catch the eye: waterfalls cascade into rolling rivers, jagged peaks rise elegantly in the distance and the plethora of flowers and bird species in the Ponta de Sao Lourenco's Nature Reserve is simply astonishing. Walking in Madeira, shady paths amble through sweeping valleys and pass hilltop villages before descending into coastal towns that, on your approach, seem sleepy and quiet but in truth are full of life, flocking with locals meeting to share gossip, rub shoulders in the market or share an 'al fresco' lunch.